August 5, 2018 • Pastor Mark Q.
Let’s look at how God is growing our church & community through our leaders & communicators. As a church, let’s join in celebration and hear from a few different voices of theChapel. 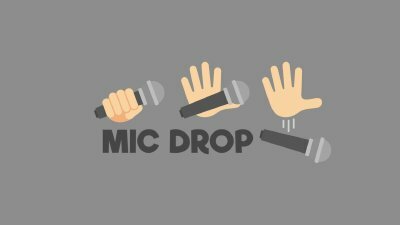 When you know you've said it powerfully, clearly and effective, there only one thing left to do, drop the mic!